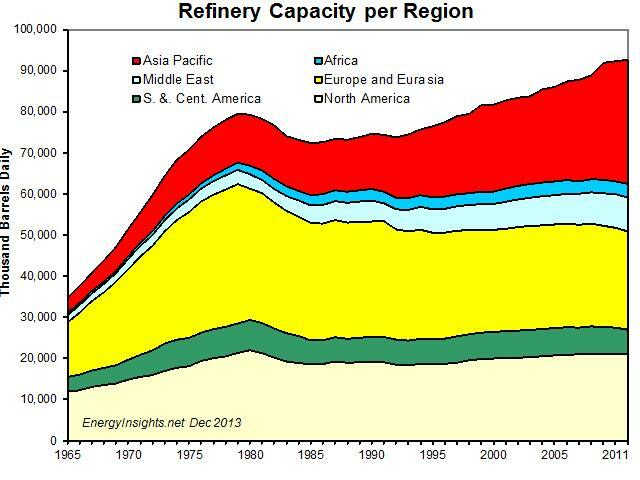 We are delighted to provide an overview of Oil Refinery Capacity and Utilization for people interested in the energy industry. 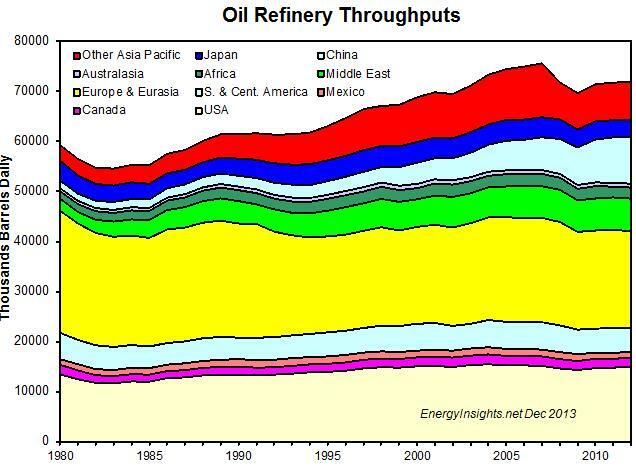 We hope you find it insightful. 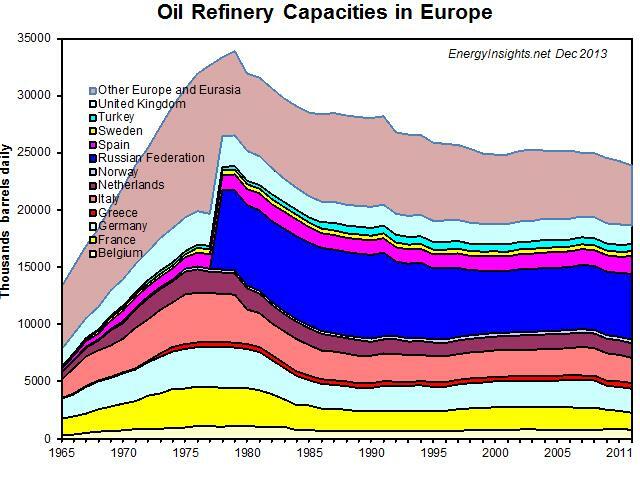 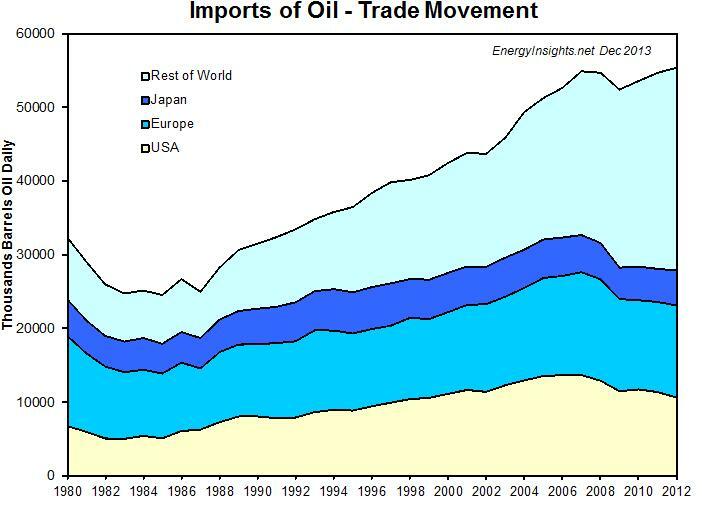 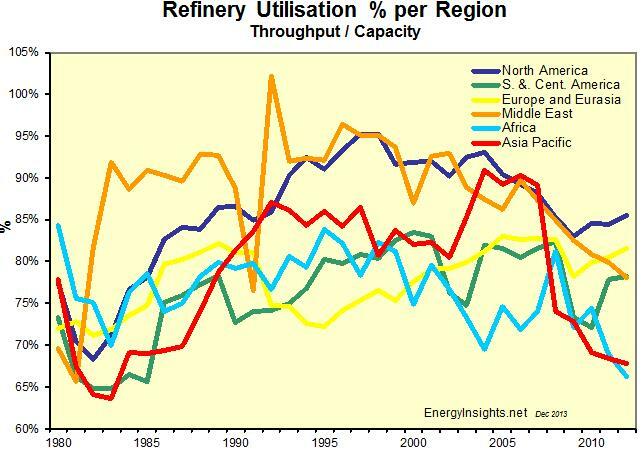 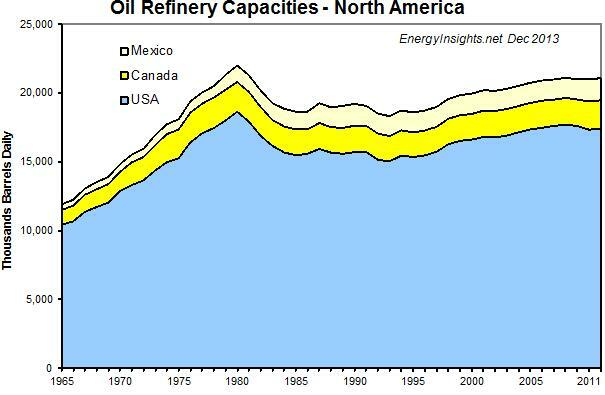 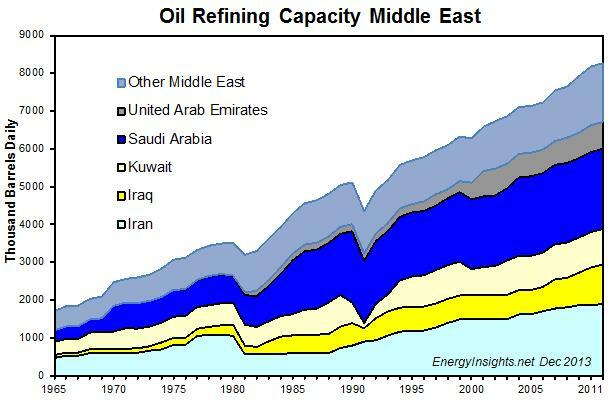 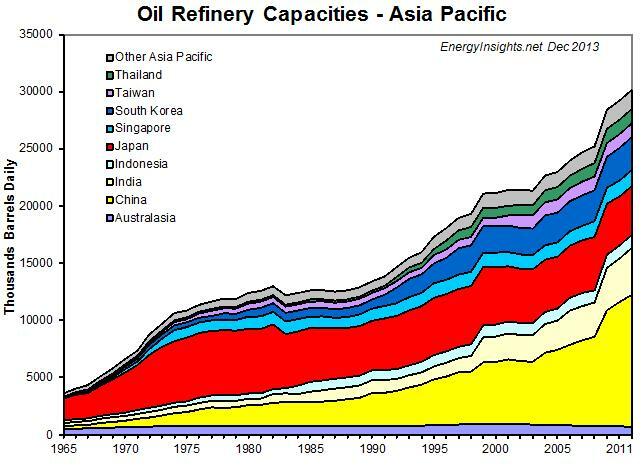 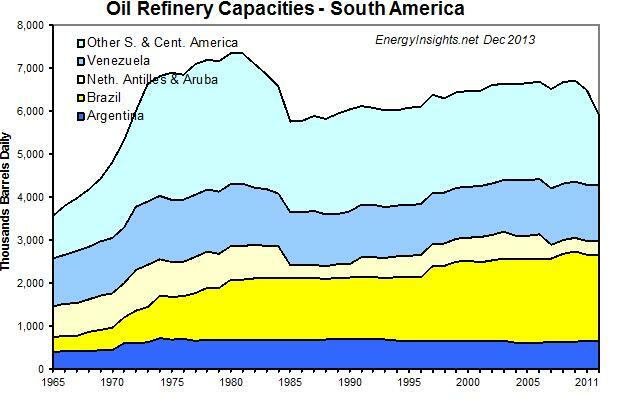 Oil refinery utilizations as a whole increased through to 1996 then dropped back in most regions. 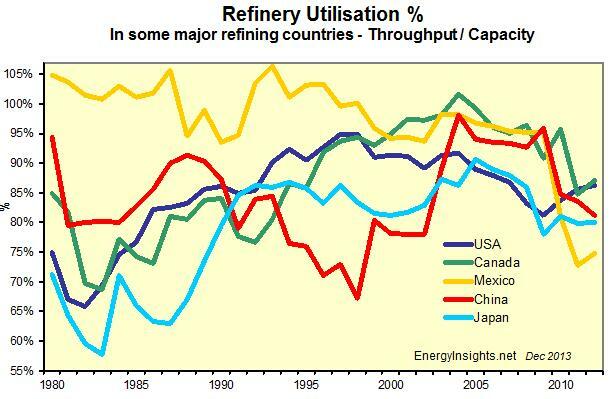 Utilization crashed in 1983 except in the Middle East when oil prices shot up and consumption dropped back.